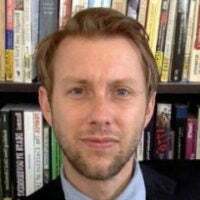 John W. York, Ph.D., is a policy analyst in the B. Kenneth Simon Center for Principles and Politics at The Heritage Foundation. Americans should be thankful not only for the rare genius that assembled in Philadelphia in 1787 to draft the Constitution, but for the unique circumstances under which they met. Not all moments in time are ripe for founding a nation. Nor is every citizenry equally prepared to receive new modes and orders. The Founders’ time and generation presented just such an opportunity. Our time would not. Levinson is not the only person questioning the wisdom of our constitutional design now that Trump occupies the White House. Weeks after the 2016 election, in which Trump won the Electoral College but lost the popular vote by a small margin, the editorial board of The New York Times demanded that we replace our “antiquated system” of presidential selection and impose direct popular elections. Similarly, after Republicans took control of the Senate, Jacobin’s Daniel Lazare advocated abolishing the upper chamber, which he contends “grossly marginalized” voters in states such as California and New York. It is difficult to reason about the proper structure of government in the midst of partisan tumult. This is true of Republicans as well. Immediately after the 2016 election, Republican support for direct election of the president dropped from 54 percent to 19 percent. Both Democrats and Republicans know what institutional arrangements benefit their side and, if given the opportunity, would rig the system in their favor. 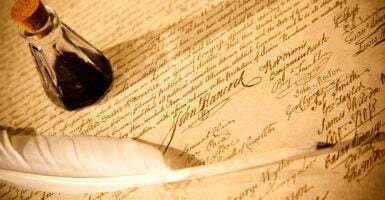 The unity born of this great existential threat “stifled the ordinary diversity of opinions on great national questions.” Hence, “no spirit of party connected with the changes to be made.” So too did the near universal experience of the failures of the Articles of Confederation. This national unity did not last long. George Washington was still in the White House when the battle lines were drawn between the Federalists led by Alexander Hamilton and the Democratic-Republicans led by Madison and Thomas Jefferson. Had the Constitution been drafted only a few years later, these inchoate parties already might have become sufficiently developed to give a partisan taint to both the convention and ratification debates that would have followed. The revolution not only tempered factionalism and forestalled partisanship, it also elevated a cadre of universally revered national figures capable of effectively championing the Constitution. As Madison writes, the war imbued the public with “enthusiastic confidence … in their public leaders”—men such as Washington, Hamilton, Ben Franklin, and Madison. If not for the public reputations of these men, citizens may have been understandably hesitant to accept a wholly new and untested form of government. Leaving the familiar shores of the status quo is always a dangerous risk. But, with trusted captains at the helm, the nation was able to face down the fear of the unknown. Imagine if a constitutional convention were held in a political climate more like our own. Would the public have “enthusiastic confidence” in their political leaders—the delegates to such a convention? There is no public figure that enjoys the sort of near-universal public adoration that Washington did at the time of the founding. Collectively, our national politicians are less trusted than at any point since the beginning of scientific public opinion polling. Trust in politicians is particularly low today, but political figures rarely enjoy widespread, bipartisan support. Even when politicians lead the nation through great existential threats, goodwill tends to evaporate very quickly—just ask former President George W. Bush. Even the reputations of our Founding Fathers eventually were sullied as the revolutionary unity dissolved into partisan rancor. The election of 1800, which pitted Jefferson against John Adams, was famously vicious. The fortuitous conditions Madison points to only set the stage for what unfolded in Philadelphia 231 years ago. Without the genius and public spiritedness of the Founders, the moment might have slipped by. But at a time so taken with the idea of progress, among a people convinced that time confers useful experience, if not greater wisdom, it is important to celebrate both the men and the moment that gave rise to our Constitution.